This additive system will be balanced in that equal addition of the two parts will provide calcium and alkalinity in approximately the same ratio as used in calcification by corals and coralline algae. In that sense, it is the same as the commercial two-part additives. One part is the calcium chloride dissolved in water, and the second part is baking soda (either baked prior to use, or not) dissolved in water. This balance is very important in that an aquarium such a balanced additive system is unlikely to undergo big swings in calcium and alkalinity, as can happen if an aquarist using independent additives were to inadvertently overdose one relative to the other. This problem is surprisingly common, and was the reason that I wrote an article on how to solve calcium and alkalinity problems, and why I only described balanced additive systems ofvarious types in my article on how to select a calcium and alkalinity additive system. A “third” part of this additive system represents the Epsom Salts (magnesium sulfate heptahydrate) dissolved in water, and is only required once in a while (perhaps added once every 1-2 months). It serves to prevent sodium and chloride from rising significantly relative to the other major ions, most notably magnesium and sulfate. You can buy Epsom Salts from most drug stores, but if you cannot find it, you can buy it online for $2.69 for 64 ounces. Epsom Salts sold in drug stores is generally labeled USP, which stands for United States Pharmacopoeia, and is an assurance that it is suitable for consumption by people. This solution is not perfect. If commercial two-part additives are formulated as they claim to be with all of the remaining ions present in seawater ratios, then this recipe is not as good as those formulations. Whether the commercial additives are formulated correctly or not, I cannot say. The advantages of the recipes in this article are primarily cost. A drawback to nearly all commercial two-part additive systems is that they are quite expensive for all but the smallest aquaria. These recipes solve that cost problem. Using these recipes, however, sulfate will rise slightly over time, and certain other ions, such as bromide and fluoride, may decline over time. But it is a better recipe than calcium chloride and baking soda (or commercial “buffers”) alone, and I believe that it is adequate for aquarists for whom cost is a significant factor. If you use an anhydrous calcium chloride (such as Kent’s Turbo Calcium or Peladow Calcium Chloride (a brand sold by Dow that some believe may just be a dehydrated equivalent of the Dowflake), then you should use about 20% (1/5) less solid calcium chloride to make the recipe. Note that the solution will get quite hot when dissolved anhydrous calcium chloride. Dissolve a 64 ounce container of Epsom salts (about 8 cups) in enough purified fresh water to make 1 gallon total volume. This solution is added much less frequently than the other two parts. Each time you finish adding a gallon of both parts of the Recipe #1, add 610 mL (2 1/2 cups) of this stock solution. You can add it all at once or over time as you choose, depending on the aquarium size and set up. Add it to a high flow area, preferably in a sump. 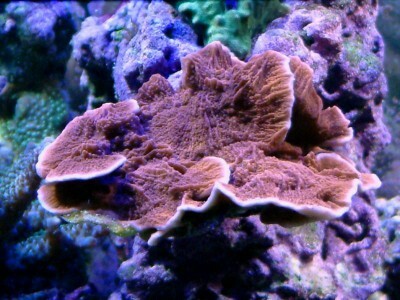 In a very small aquarium, or one without a sump, I’d suggest adding it slowly; especially the first time you do so to make sure that corals don’t get blasted with locally high concentrations of magnesium, sulfate, or any impurities in your Epsom Salts. The first time that you add it, you might add a small portion and make sure there isn’t any problem before proceeding to add the remainder. This solution contains about 47,000 ppm magnesium and 187,000 ppm sulfate. Dissolve a 64 ounce container of Epsom salts (about 8 cups) in enough purified fresh water to make 1 gallon total volume. This solution is added much less frequently than the other two parts. Each time you finish adding a gallon of both parts of the Recipe #1, add 305 mL (1 1/4 cups) of this stock solution. You can add it all at once or over time as you choose, depending on the aquarium size and set up. Add it to a high flow area, preferably in a sump. In a very small aquarium, or one without a sump, I’d suggest adding it slowly; especially the first time you do so to make sure that corals don’t get blasted with locally high concentrations of magnesium, sulfate, or any impurities in your Epsom Salts. The first time that you add it, you might add a small portion and make sure there isn’t any problem before proceeding to add the remainder. This solution contains about 47,000 ppm magnesium and 187,000 ppm sulfate. The Dowflake material is supposed to contain 77-80% calcium chloride. From the Dow Flake web site, it has a bulk density of 0.82 – 0.96 g/dry mL, or 194 – 227 grams/level measuring cup. We will assume that it is 78.5% calcium chloride by weight and weighs 200 grams per level measuring cup. Since calcium comprises 36% of calcium chloride, by weight, each cup contains 200 x 0.785 x 0.36 = 56.5 grams of calcium. Interestingly, the potassium present as an impurity in the Dowflake works to our advantage. It is present at 3600 ppm in the solutions that I used for testing in the previous article. In those same solutions, the calcium level is about 100,000 ppm, and chloride is about 177,000 ppm. So the residue has 3600 ppm of calcium for every 177,000 ppm of chloride for a ratio of K+/Cl– of 0.0203 by weight. Seawater has 400 ppm of potassium and 19,350 ppm of chloride, for a ratio of K+/Cl– of 0.0207 by weight. So the formula is quite well balanced in potassium (assuming that there is not a lot of excess potassium in the baking soda or in the Epsom Salts).